When Should I Replace my Skoda Fabia Brake Fluid? Is it Illegal to Have Non-Alcoholic Drinks When Driving Your Skoda Fabia? Have something to say that doesn't fit into a neat little category? We've got you covered at ŠKODA. Just let us know what you need. Would you also like to Book a Test Drive? First built in the Czech Republic in 1895, ŠKODA has since grown to become one of Europe's leading car brands, and can now be found in over 90 countries around the world. With a proud history of innovation and design, ŠKODA continues to grow and develop new ideas for simply clever driving. Check out our amazing car configurator and customise the vehicle that's perfect for you! 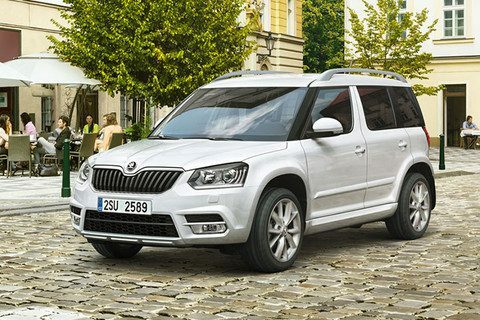 Perth City Skoda has received a fantastic 4.1/5 star rating from 29 Clients on Google. A huge thank you to our wonderful clients! ©ŠKODA AUTO a.s. 2019. Website designed and built with by Dilate.